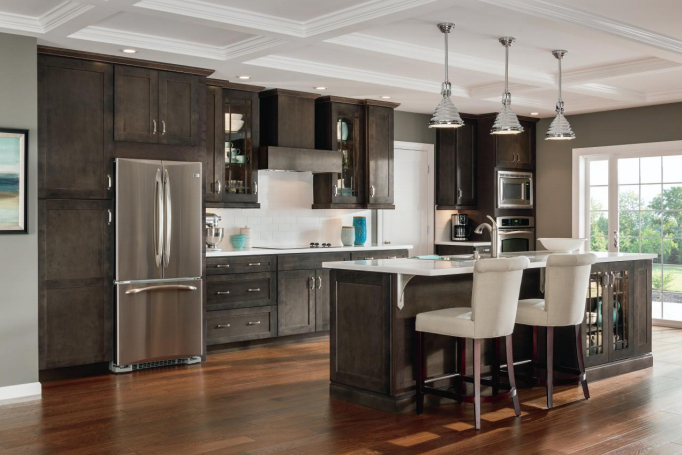 Create a focal point for your kitchen or bathroom with the selection of cabinets from our local company. At our showroom, you will find stock and custom cabinetry options that fit every style preference. From kitchen cabinets to bathroom vanities, we offer a full range of products that are sure to suit the needs of each of our clients. Visit us today to learn how our top products can add style and substance to your space. You spend a lot of time in your kitchen. From cooking to entertaining, this space is used for a wide variety of purposes. With all of the time you spend in this room, shouldn’t it fit your personal style preferences? When you are tired of the same old look in your home, turn to us to create a new set of kitchen cabinets. Our professional craftsmen offer a number of different stock and customized cabinets for every space. Whether you prefer a traditional or modern style, you are sure to find the perfect creation for your personal tastes. These cabinets will not only add a new look to a home, but they will also provide you with the space you need for pots, pans, and other items. Bring the spa home by installing a vibrant vanity in your bathroom. By choosing stylishly functional bathroom vanities, you will have a space to store your toiletries without creating clutter on your countertops. Our products are available in different styles and setups to fit every need. With all of the options available on the market, it can be difficult to choose the right cabinets for your space. If you are having a hard time narrowing down your selection, choosing a custom-made cabinet may be an ideal solution for your situation. We offer a range of options for those looking for a truly unique look in their space. Our builders create your order from scratch, and we work hard to turn simple wood into beautiful and functional cabinets that last for generations to come. Once you have chosen the right cabinets for your home, let us complete your job for you. Our professional contractors are proud to offer a full cabinet installation in kitchens and bathrooms of all sizes. We work quickly and efficiently to finish your job on schedule, with minimal disruption to your daily activities. Contact our showroom to learn about our options for your new cabinets. We proudly feature bathroom and kitchen cabinets for clients throughout Manchester, Nashua, Salem, Concord, and Bedford, New Hampshire.